BelindaSelene: Current Obsession: My Favorite Gold Glitter Nailpolishes! 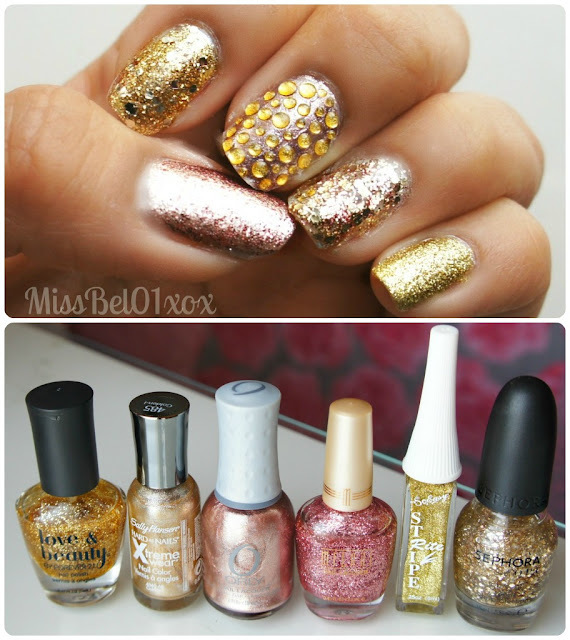 Current Obsession: My Favorite Gold Glitter Nailpolishes! I want to start doing weekly current obsession posts. What do you guys think? I go through these random obsessions when it comes colors, whether it's the color of my nails, accessories, shoes, or clothes. This week I have fallen in love with golds. All there are different shades of golds some are more yellow than others. My number one favorite shade of gold is ROSE GOLD. Who's with me? First of all my favorite color of all time has always been PINK, I even have pots and pans in my kitchen that are pink ha ha, so gold mixed with a shade of pink is fabulous! Here is a very simple outfit that compliments your fabulous nails!